I found this tool out on the web. 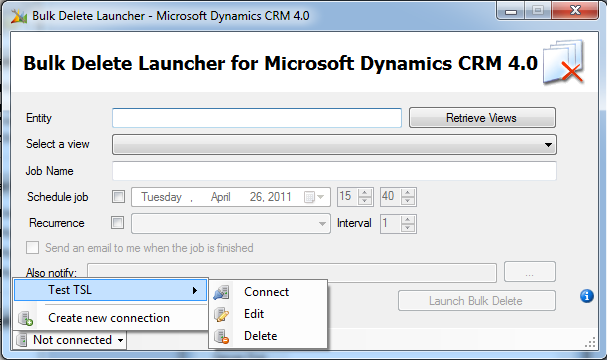 It’s a bulk delete tool for CRM 4.0 since it doesn’t have a bulk delete option. 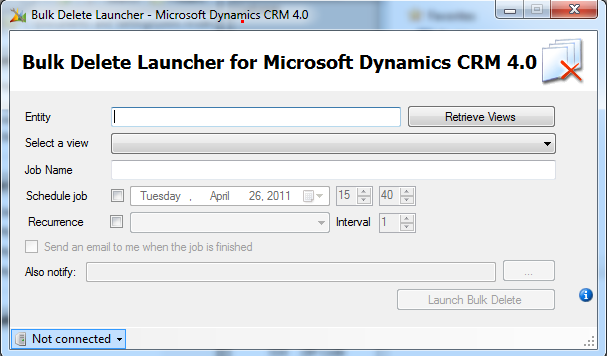 (As far as I’ve been told, CRM 4.0 Online does, but CRM 4.0 does not). 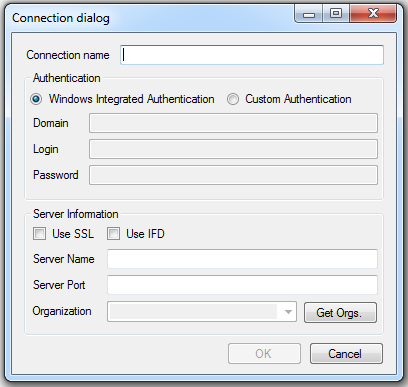 Anyways, you run the executable and it gives you a very simple UI. All you need to do is create a view for the entity with all the records you want to bulk delete. 4. Give it all your information and click ‘OK’. 6. NOTE: for this to work as you want it to, you need to create a view on that entity for the records you want to delete. If this is going to be routine, perhaps a CRM job plugin might be better, but we’ve had several instances where we loaded a CRM instance with a test data and want to dump it all, so here’s a fun tool for it. Create your view. (I’m assuming here you know how to do that). 7. 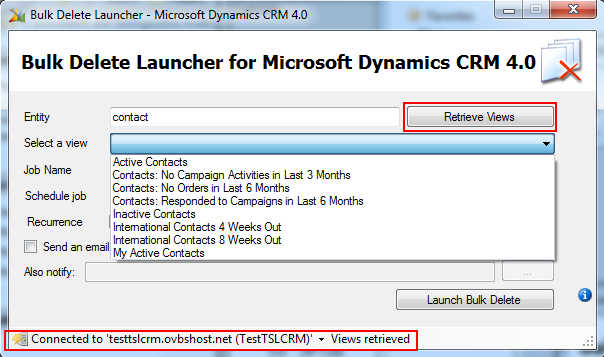 After your view is created, enter your entity in the textbox and click ‘Retrieve Views’. You’ll now get a list of those views. 8. You can schedule it to run in the future or recur but, again, I think a plugin would be more beneficial for that. You can also have it send you an email after the job is done deleting. It’s not perfect but it’s out there.